The destination, best-known for its nightlife and casinos, wants to make holidaymakers aware of its myriad of spas, its range of sporting activities and the variety of professional, collegiate and amateur sports events it hosts each year. These include the NBA Summer League, the National Hockey League Awards and exhibition games, Championship Boxing and UFC matches, the USA Seven’s rugby Tournament, PGA FedEx Cup Shriners Hospitals for Children Open and Major League Baseball Big League Weekend. Amongst the newest activities available to holidaymakers are SPEEDVEGAS, which gives them the chance to drive supercars around a 1.5 mile road circuit. The Las Vegas Convention and Visitors Authority pointed out that many of the resorts have first-class spas, including the Mandarin Oriental, the Wynn, ARIA Resort & Casino, The Venetian, The Palazzo, Bellagio, LINQ, Caesars Palace and The Cosmopolitan. 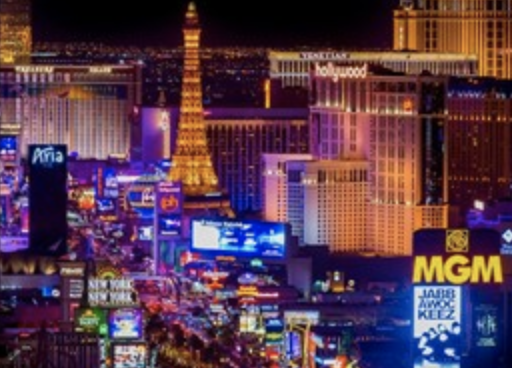 “We know that people have less time these days to go on holiday so we don’t want them to dismiss Vegas because they think they’ll come back exhausted after all the partying, we want them to know we offer plenty of opportunities for relaxation as well,” said a spokeswoman. “There is a danger that people think they know a destination after one visit, but we want to show that we have lots of reasons for people to keep coming back.